Born on December 8th 1883, Douglas was the eighth of nine children born to Emma McDougall and her husband, Walter, a wheelwright who passed away when Douglas was five. Two of his elder brothers preceded him at the College, and by the time he came joined at Easter 1895, one of them, Percy, was already an OA and the other, Harold, would go on to leave that Summer. 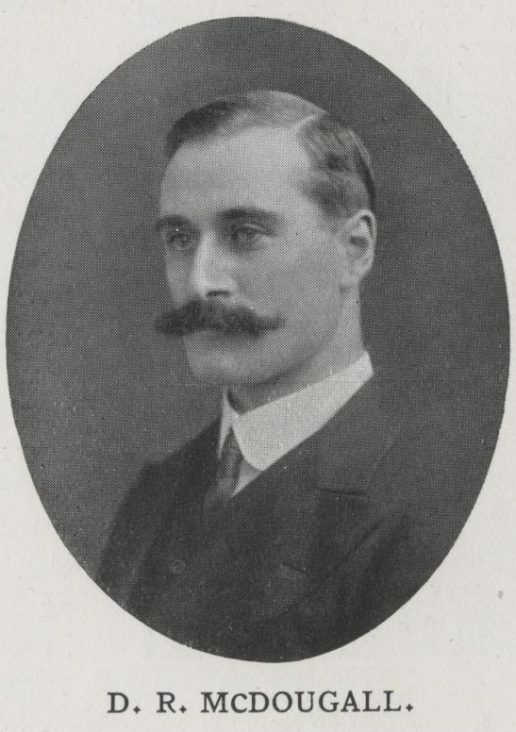 Douglas stayed for the next six years, and in the last of them was a member of the 3rd XV. After leaving the College he joined Messrs. Slade & Butler, a firm of auctioneers, surveyors and estate agents, based on Cheapside in the City of London, and was also a regular player for the OAs. In 1907 he went to Southend, where he joined another firm in the same trade, that of Talbot and White. After a trip to Australia in 1909, he returned to his old firm, before later, alongside a man named Horace Tilford, purchasing and running their own business, based in Bromley. He was also a committed army reservist, having spent six years as a territorial in the London Scottish. 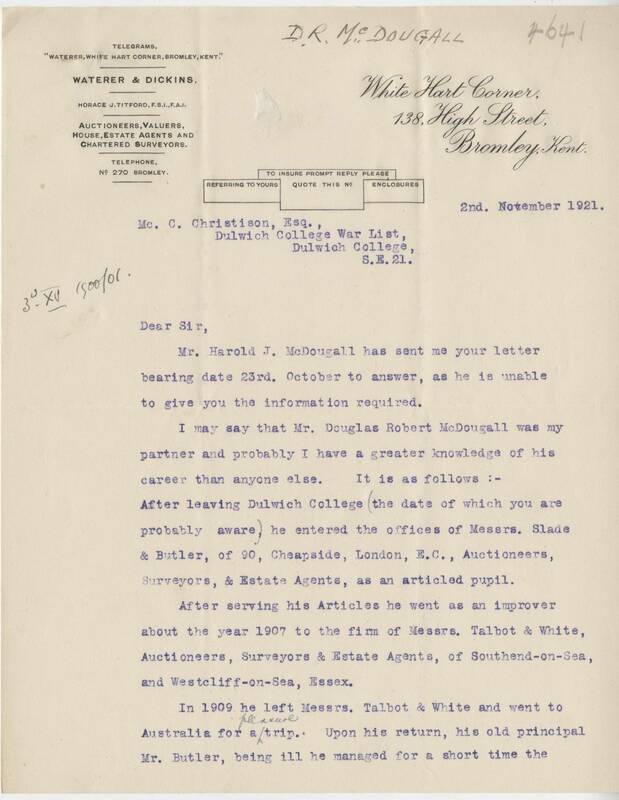 The outbreak of war in 1914 saw Douglas rejoin his old regiment, where he straight away volunteered for foreign service. He went over to France on September 14th and was eventually posted to the Messines sector. He was on a mission on the night of 31st October when he went missing, and as no trace of him was seen again, he was later ruled to have been killed that night.